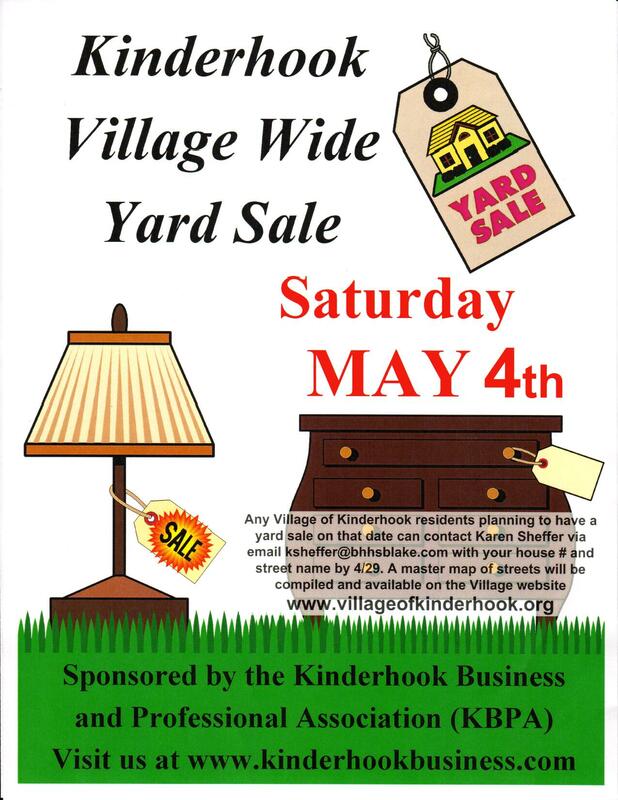 Kinderhook Village Wide Yard Sale Saturday May 4th. 2019 Spring Bulletin - now available! Did you know? A $250.00 fine may be imposed to anyone not cleaning up after their dog. You Can Help Us Keep Our Village Beautiful! Please be responsible with your dogs and clean up after your PET throughout the village. Keep the village’s public and private landscaped spaces alive and beautiful by curbing your dog! We are requesting that dog owners steer their pets away from the garden beds and the newly planted trees and shrubs. Mutt Mitts are available in boxes located in front of the Village parking lot and the James Vanderpoel House for your convenience. Concerns should be addressed to the Dog Control officer at 275-9983. As a result of our ongoing audit of garbage placed at curbside for pickup, we wanted to remind residents that all bags of garbage must have a sticker in order for pick up and they must not weigh more than 35 pounds. Stickers can be purchased at the Village Hall or at Kinderhook Stewart’s.